The San Diego Venture Group has established a beachhead in San Francisco, and it’s opening for business Tuesday. After years of trying to persuade Silicon Valley venture capital firms to establish more of a presence in San Diego, or to at least hear more startup pitches here, the venture group has decided to open an outpost in San Francisco. The idea is to provide a home away from home for San Diego startups looking to do deals in the Bay Area. The group’s satellite office, known officially as “The Beachhead,” is the latest move in what San Diego Venture Group CEO Mike Krenn calls a “cheeky” offensive, which includes a job fair for San Diego companies set for February 1. The job fair, and a related billboard advertising campaign that begins Tuesday, are intended to entice Silicon Valley engineers and programmers to San Diego. 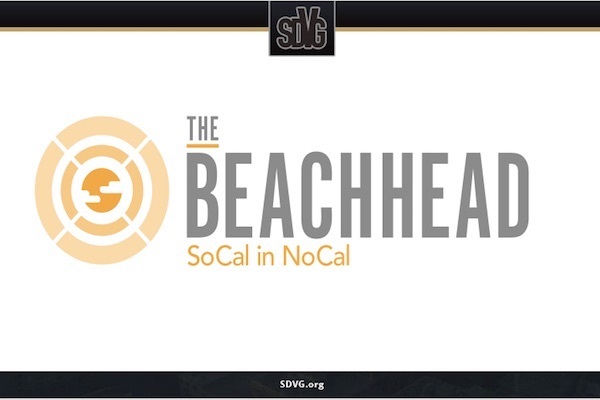 Krenn has drawn financial support for the Beachhead office from a local nonprofit group, the Legler-Benbough Foundation, the City of San Diego, and a GoFundMe crowdfunding campaign that has raised over $72,000 of a planned $100,000 target.